North Hants Golf Club welcomes and encourages societies and corporate golf days. Our superbly presented golf course and excellent clubhouse facilities combined with friendly professional clubhouse staff will ensure your golf day is a memorable one. 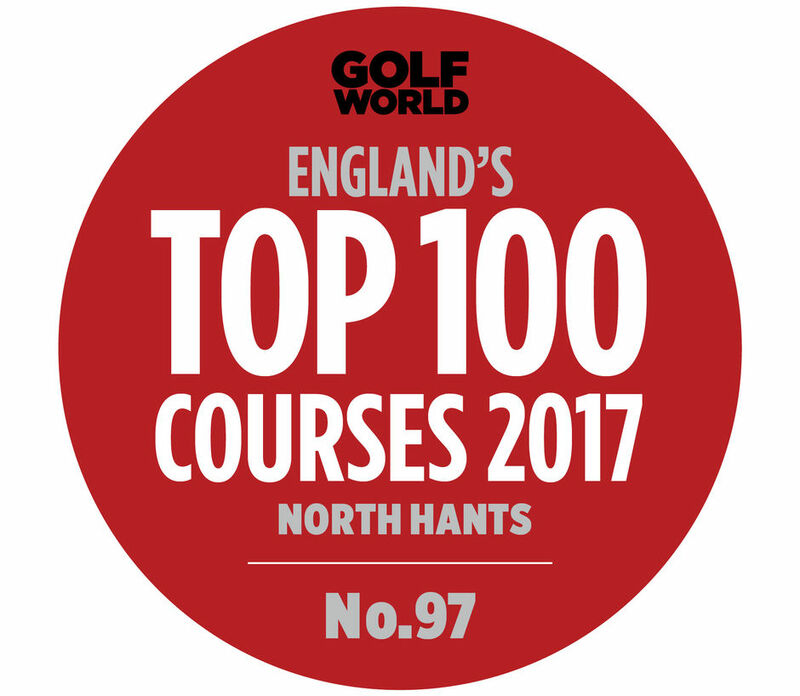 Our golf course is not only one of the best in the South of England, it is also a very free draining golf course which means that you can still wear those white golf shoes and trousers in the winter! "Just a note to say how well we were received by your team yesterday; it does help to have excellent weather but if the service and arrangements are not up to scratch then the whole day can been affected. I am very pleased to say that we all felt most welcome by the Pro, the bar and the catering staff but a huge thank you to your starter Bernard who was informative, polite and very cheerful throughout the day. They were all a real credit to your club." Just wanted to say a huge thank on behalf of the Society to everyone at North Hants Golf Club for an absolutely super society day on Tuesday. Special thanks to Katie for organising the visit to the JR room, Bernard for his organisation and information and finally thanks to our all the catering staff for a superb evening meal. I would again like to say thank you for the hospitality while at NHGC! North Hants golf course is a complete gem. A stern test of golf that incorporates every club in the bag. The green complexes are brilliant! I am so very glad I chose the JR Mid Am as my first golfing trip to the UK. The level of competetiveness was fantastic, many a great players made the trip. The feel of the golf course, the pro shop, the clubhouse and bar is one that oozes cool. It has stood the test of time indeed. In conversation with some of the members, I immediately recognized their pride and love for North Hants. Everyone I met that week treated me like one of their own. I look forward to returning to North Hants GC in the future. We had a lovely day yesterday at North Hants. The course was lovely in the sunshine and the welcome we received was superb, as always. I noticed a few little touches this year, such as the menus on the table and the screen display. Everyone in our society commented on the friendliness and “feel” of the place. All our members, without exception, commented on the excellent presentation of the course and particularly the greens: please extend our thanks the Green Keeper and all his staff for making our viist so memorable; we look forward to returning in future years. Thank-you so much for allowing us to visit North Hants yesterday. The course was in excellent condition and many of our party said it was the finest they had played for some time ! Facilities and catering were first-class. An evening drink on the terrace, followed by a meal in your newly refurbished dining room, was a fitting end to a perfect day.